At Total Health Dentistry, a holistic and patient-centered dental practice, we believe in delivering compassionate, thorough dental care that improves each person’s oral health and overall wellbeing. Here, Dr. Jeffery Hartman and our team are committed to finding the dental solutions that are right for your unique situation, refusing the more conventional one-approach-for-all-patients employed at other dental offices. When you are in our care, everything we do is focused on you: your clinical needs, your treatment goals, your lifestyle and timeline, and your concerns. We will listen to and engage with you, understanding that the better we know you as a person, the more effective we can be at finding the care options that are ideal for you. From the moment you are welcomed into in our practice, you’ll know you’re in a safe, welcoming environment. You’ll be warmly greeted, by name, and invited to make yourself comfortable in our home-like reception area. We strive to maintain a relaxing, reassuring atmosphere at all times, in order to help you feel peaceful and secure during your visit. If there is ever anything we can do to make your visit more pleasant, please do not hesitate to ask. We firmly believe we are here to serve you, and will do our best to exceed your expectations. Our treatment areas and operatories contain the latest, state-of-the-art technologies, including digital X-rays which reduce radiation exposure. 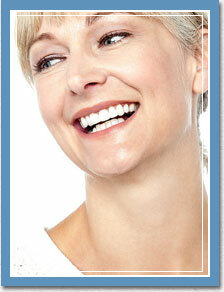 We also offer laser dentistry, which eliminates the need for injections and drilling. Along with proven, current treatment methodologies that emphasize minimal-invasiveness and deliver the strongest results, and our concentration on painless, patient-focused care, you are ensured of dental visits that are stress-free. Dr. Hartman and our team members know it’s essential you trust us and the care we provide. That trust begins with your first, new patient visit, at which no work will be performed. Instead, we will sit and talk with you about your lifestyle, your treatment desires, any concerns you might have, and your overall total health. We’ll encourage your questions, as well, and involve you in the decision-making progress as we develop your personalized treatment path. We believe in patient education, knowing you deserve to understand your dental health, your oral healthcare options, and how having a healthy mouth is connected to a healthy body. We will provide you with the information you need to become an educated, knowledgeable advocate for your care: this is your health and your smile, after all. Total Health Dentistry, where we offer Smiles for Life, is located in Huntingdon, PA. We welcome patients from anywhere and cater to patients who travel a distance to be with us. Please call to schedule an initial appointment with Dr. Hartman and our team; we look forward to welcoming you to our practice and starting you on the path to exceptional oral health and a beautiful smile, today.